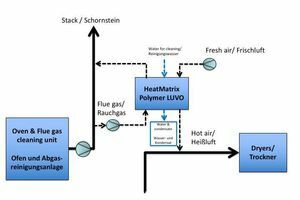 HeatMatrix Group has developed a novel acid- and fouling-resistant system based on polymer technology to effectively recover heat from flue gas in the ceramics industry. The production of clay bricks and roofing tiles is an energy-intensive process, in particular the firing and drying process steps. 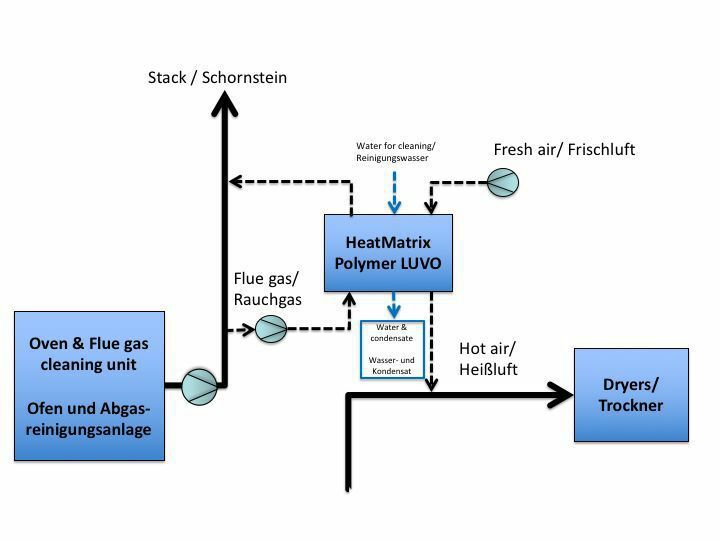 Even if partial heat integration has already been implemented, a significant amount of energy is still lost through the stack, where flue gas is emitted at elevated temperatures. 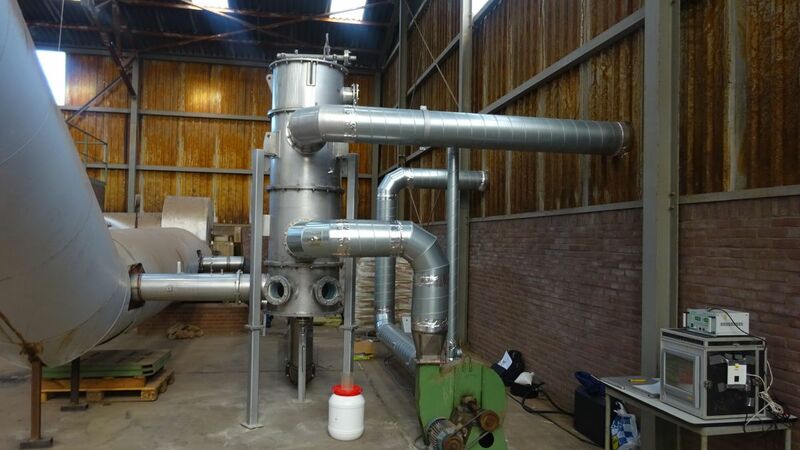 Recovery of this heat using traditional heat exchangers has always been problematic, due to acid condensation, which leads to severe corrosion, and due to fouling from soot, dust and salts. 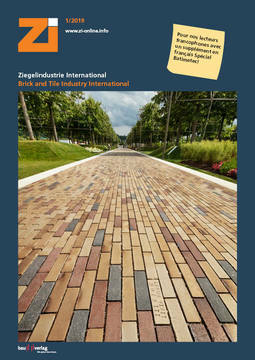 In close cooperation with the Dutch Technical Centre for the Ceramic Industry (TCKI), a new polymer-based technology for heat recovery has been tested at two brick production plants, at the brick manufacturers Rodruza and Engels Baksteen in the Netherlands (»1). In the plant trials that lasted twelve months, it was investigated under which conditions and in which manner heat can be recovered from corrosive flue gases. 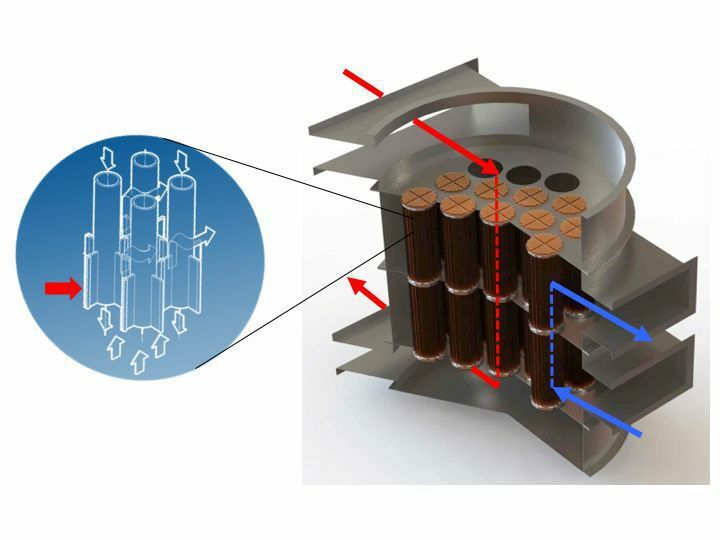 In both trials, the impact of the process conditions on the materials used for construction of the exchanger has been evaluated. 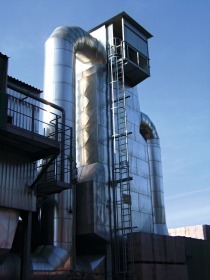 At the Rodruza plant, the flue gas is untreated and therefore quite problematic. 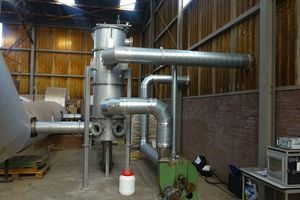 Engels Baksteen does have a flue gas cleaning system. 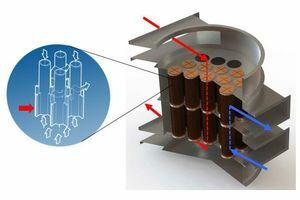 »2 shows the integration of the heat exchanger in the existing configuration. 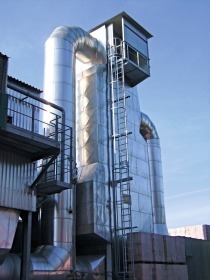 The exchanger has been positioned in a bypass, parallel to the existing flue gas duct, which means that only two tie-ins into the existing duct are needed. 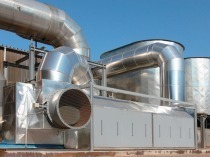 Separate fans are installed to avoid disturbing the pressure balance of the kiln itself. TCKI concluded that this innovative polymer-based technology from HeatMatrix enables the recovery of heat from flue gas, thereby reducing the overall energy consumption and CO2 emission in the ceramics industry. This lowers production costs and enhances the sustainability of the process and the final product. Depending on the plant configuration and the available gas flows, a typical payback time in the range of three to five years is possible. 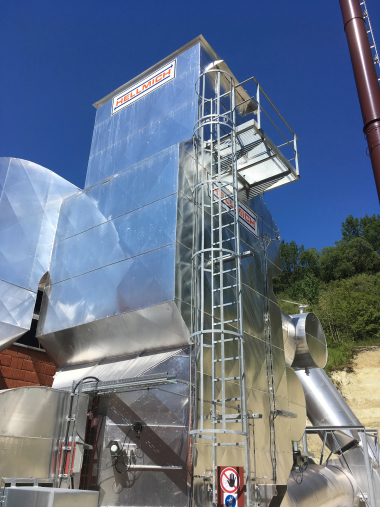 The HeatMatrix Group has developed an innovative polymer-based heat exchange technology that allows recovery of heat from corrosive and/or fouling flue gases. In contrast to conventional heavy metal shell and tube exchangers, the HeatMatrix solution consists of modular bundles made of lightweight, corrosion-resistant polymer. The polymer is heat-resistant up to 200° C. Flue gas above 200º C can first be cooled with a conventional heat exchanger and then is further cooled with a polymer air preheater. The design of a counter-current flow system results in a recovery efficiency that is 20% higher than for conventional exchangers.